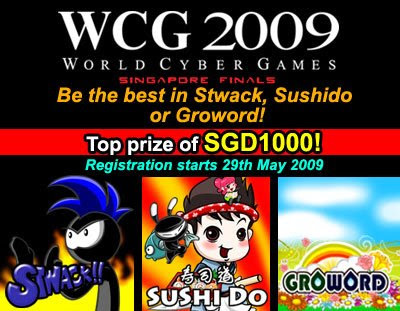 Viwawa will be at this year's WCG SG 2009! Compete in either Groword, Stwack or Sushido! Be the undisputed Champion! It looks like a very exciting events. Is there any free games that we can play in this event?